If you drove onto campus on Wednesday at 7:30 a.m., you would have been met by the sight of field hockey players taking turns ripping shots at goalkeeper Morgan Hallow ‘15 with the sun just beginning to crest the trees. Thirteen hours earlier the girls had lost a heart breaker to Caravel Academy 2-1 to drop them to 0-4 on the season. That afternoon I headed out to to the fields and met Ellen Copper ’14 and Emma Richardson ’14 walking to practice. They’d each spent time with the trainer, Al Wood, yet they were still 45 minutes early. I asked them why, and Emma didn’t hesitate to reply: “We want to get better.” Ellen was steel-faced and silent after having her lip glued back together in the emergency room the night before thanks to an errant hockey stick in the Caravel loss. Bang! The two girls join a handful of others already on the field hammering shots at the goal. Bang! From my vantage point I can see the girls are the only ones on any field at this time of day. 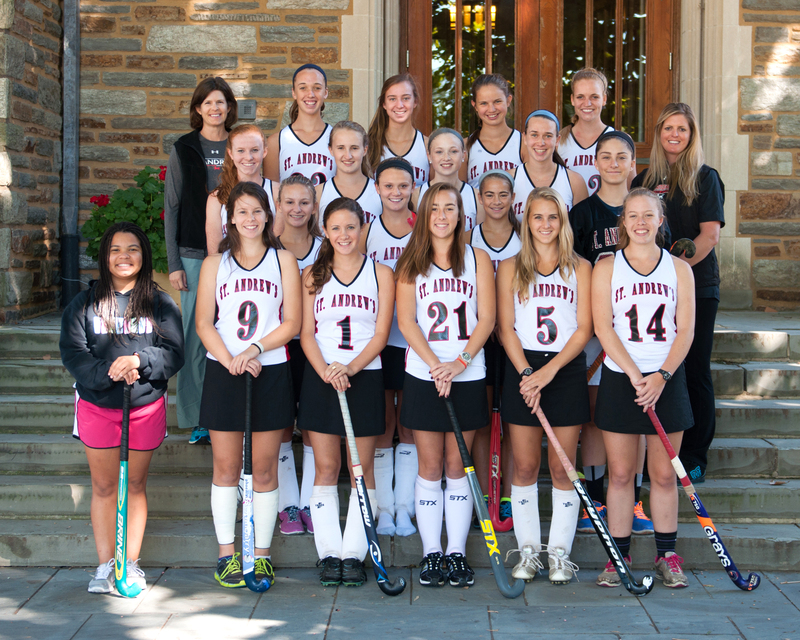 Coaches Lindsay Wright and Gretchen Hurtt ’90 soon join them, as does the rest of the team. Phil Davis, head of security, and Spanish teacher Don Duffy are also there and begin warming up the goalies. “They come out every day ready to learn,” explains Gretchen as she and Lindsay watch the girls go through warm-ups. “They know what we want to work on and they’re focused. We’re getting better everyday.” “They’re learning what it means to compete,” adds Lindsay. “They’re dedicated to the sport and each other, win or lose.” The girls are laughing and I hear Megan Hasse ‘14 leading them through different stretches with a remarkably convincing fake British accent. Before I left, a girl asked why I’d be interested in an 0-4 team. I love winning, but there are few things more compelling to me than the pride, dedication, and will to succeed these girls collectively embody.